Stud earrings with vintage beads. New stud earrings made from vintage beads and components . 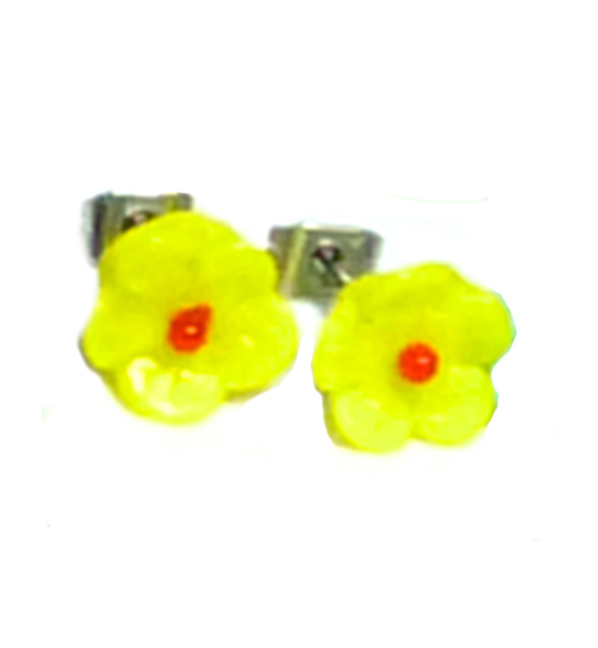 Each of these dainty little earrings consist of beautiful yellow original art deco glass flower shaped bead, with a red centre, securely mounted on a new surgical stainless steel stud plate. The beads are in very good vintage condition and measure approx 9 mm in diameter.